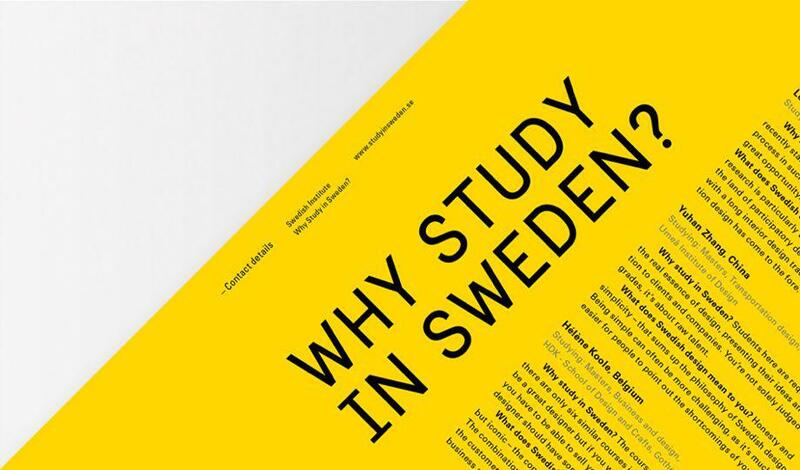 Sweden’s national font Swedish Sans: Should countries have their own dedicated typefaces? 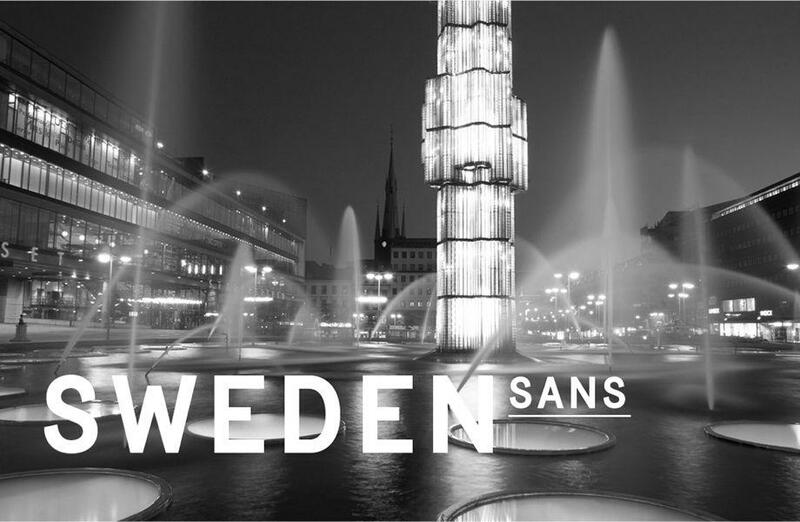 Sweden Sans is the new official typeface of Sweden. The news that the Swedish government commissioned a national font had my Slate colleagues talking last week. 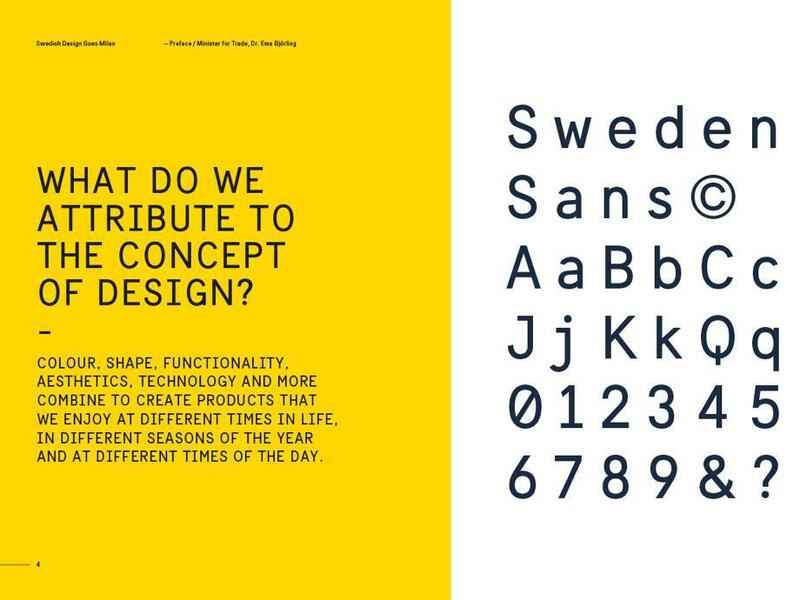 The font, Sweden Sans, was designed by Swedish agency Soderhavet in collaboration with Swedish font expert Stefan Hattenbach as part of a new branding effort. So Sweden has a national font to broadcast its identity to the world. Should the U.S.? “This is so fun! We should have a national font,” said one Slate-ster. What would it look like? Should it be serious or ironic? “To me the jokier American flags and eagles and guns route is the way to go with this. Also it should allow no font size below 24,” said another. To get some perspective, I asked professional typeface designers for their thoughts about whether countries should have their own typefaces. Minneapolis-based typeface designer Jeremy Mickel also said that getting the U.S. to agree on a national typeface, let alone rolling one out in a successful way, would likely be difficult. He imagined a hypothetical U.S. typeface would take inspiration from historical U.S. sources, such as architecture, revolutionary documents (though he notes many of those used English fonts like Caslon), or other aspects of American design. He said that it makes sense for companies and organizations to have strict corporate style guides, which typically include fonts. Countries, he notes, are essentially gigantic organizations, with flags, colors, and symbols acting as their brand assets. “Where it becomes difficult is that an over-branded nation can start to feel like a totalitarian state. It’s often been said that the Nazi party was the most successful identity program of the 20th century. While a national font for Sweden is charming and design-centric, a state-mandated font in a hostile regime becomes a more menacing proposition,” Mickel said.